Dreaming of a Queensland beachside getaway this summer? You could live the Sunshine Coast life all year round with tickets in the latest Surf Life Saving Lotteries draw! The bright and airy Mountain Creek prize home, valued at $1,001,399, overlooks a waterway and is just minutes from local beaches, shopping, and entertainment. 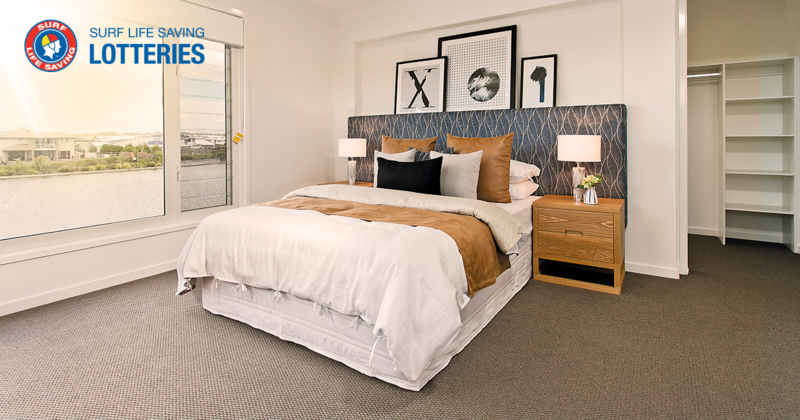 The spacious two-storey home has multiple living areas, indoor and outdoor, for you and your family to relax in comfort. Choose from lounging by the pool on the terrace. Maybe watching a movie in the separate lounge room. Perhaps enjoying some quiet time in the huge master bedroom suite. It occupies the top floor of the home. Even more, you’ll also receive $5,000 cashable gold bullion to help cover the cost of rates and insurance in the first year. Whether you make it home, use it as a weekend beach getaway, or rent it out. You have the freedom to decide what works best for you. Certainly, with an estimated rental income of $42,640 per annum, the Mountain Creek home could be the perfect investment! Mountain Creek is a scenic coastal suburb with natural waterways and leafy tree-lined streets. 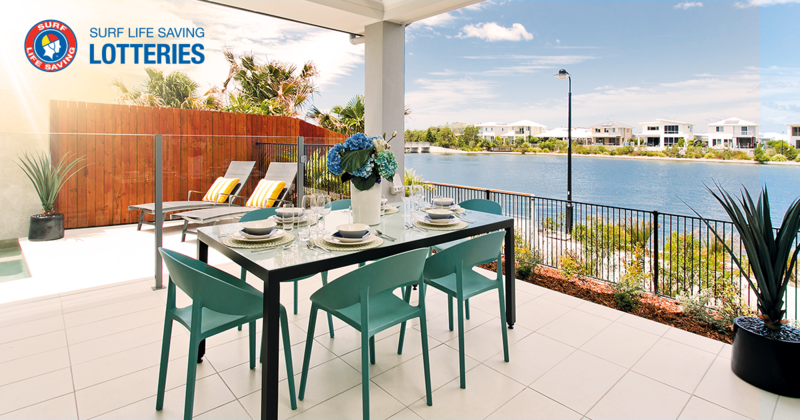 Mooloolaba and Kawana Waters are just a short drive away. You’ll have sand, surf, restaurants and specialty shopping all at your doorstep. The only question will be what to do first! You have more chances to win with one of the ticket book options on offer. Also, you’ll go into the draw to win bonus prizes including white goods vouchers, and gold bullion. Even a Mercedes-Benz C-Class Sedan worth $70,000 or BMW 3-Series Sedan worth $60,000! 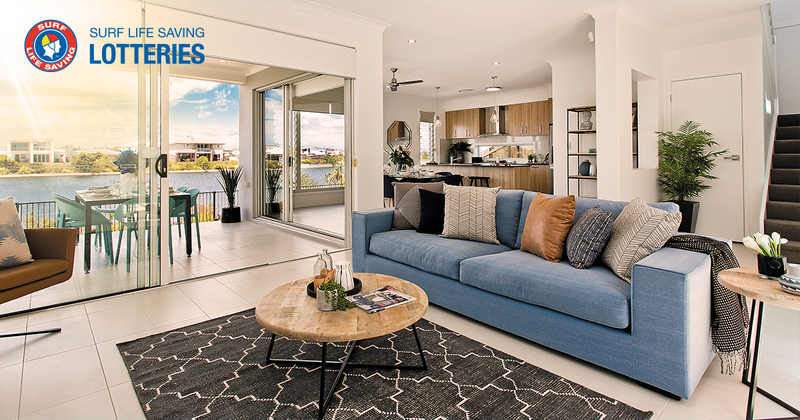 Dreams really do come true – just ask the Oz Lotteries member who won the $1,003,540 Sunshine Coast prize home in a recent Surf Life Saving Lotteries draw! 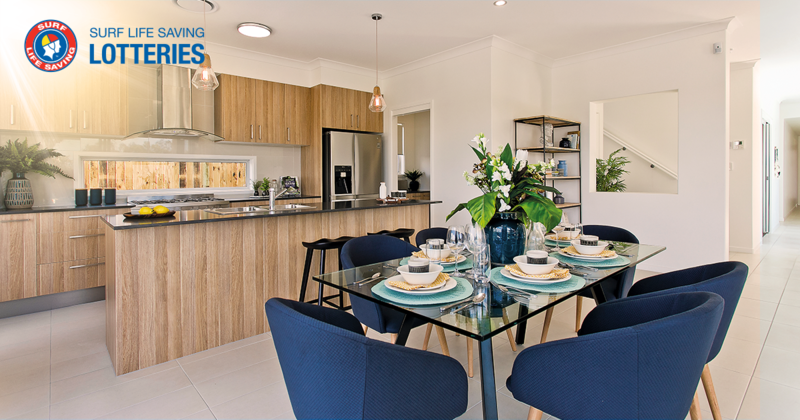 Our winner, a man in his sixties from Baulkham Hills in New South Wales, is now the proud owner of a waterfront home in Mountain Creek after his 30 Ticket Book contained the winning ticket in draw 177. 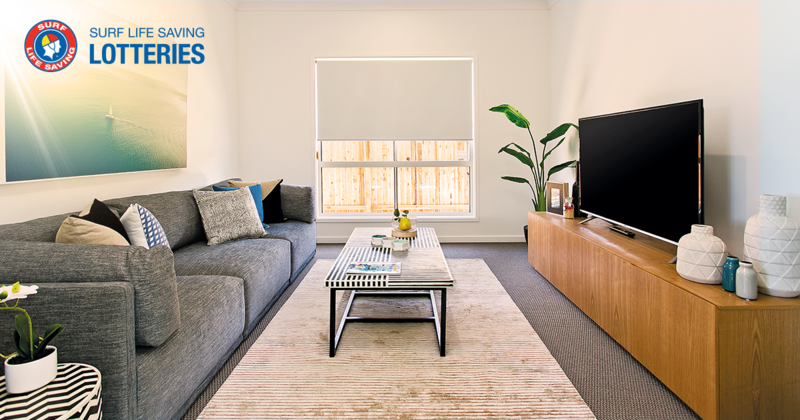 After collecting the keys to the home, our winner now has the option of retiring to a relaxed coastal lifestyle, enjoying leisurely days overlooking the pool. We reckon his bonus prize of $30,000 cashable gold bullion will be very helpful in funding an early retirement! You too can feel like a winner by understanding how your generosity supports Australian Surf Life Saving. Although the use of Australia’s beautiful beaches is free of charge, lifesaving services come at a cost. Your support helps our volunteer Surf Life Savers receive the training and equipment they need to keep our beaches safe. Australia has over 11,500 beaches dispersed along 36,000km of coastline with Australian beaches receiving an estimated 100 million visits annually. Surf Life Saving exists to save lives, create great Australians and build better communities. Surf Life Saving Lotteries conducts six prize home draws each year. By supporting the work of this great charity through entering the latest Surf Life Saving Lotteries draw, you’re already a winner! The new Surf Life Saving Lotteries draw is now open. Tickets are available online from Oz Lotteries. Tickets in the Surf Life Saving Lotteries draw start at just $10 for six tickets, up to $200 for a book of 400 tickets.